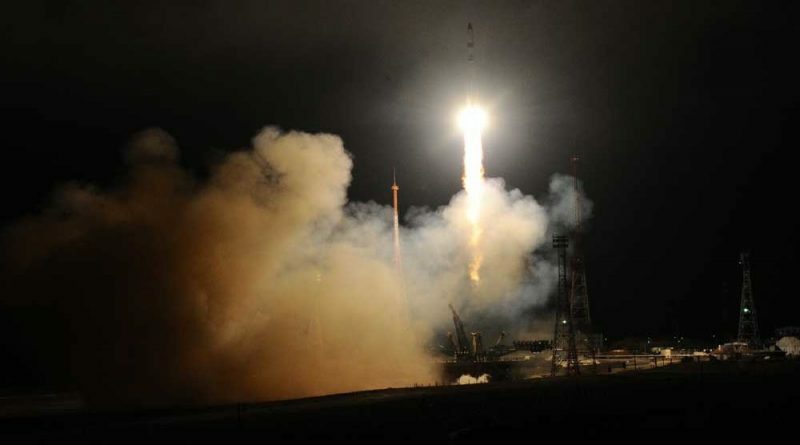 The Soyuz 2-1A carrying the 7,290-Kilogram spacecraft blasted off from Site 31/6 at the Baikonur Cosmodrome at 16:23:57 UTC, quickly climbing into a thick cloud cover hanging over the Kazakh launch site. 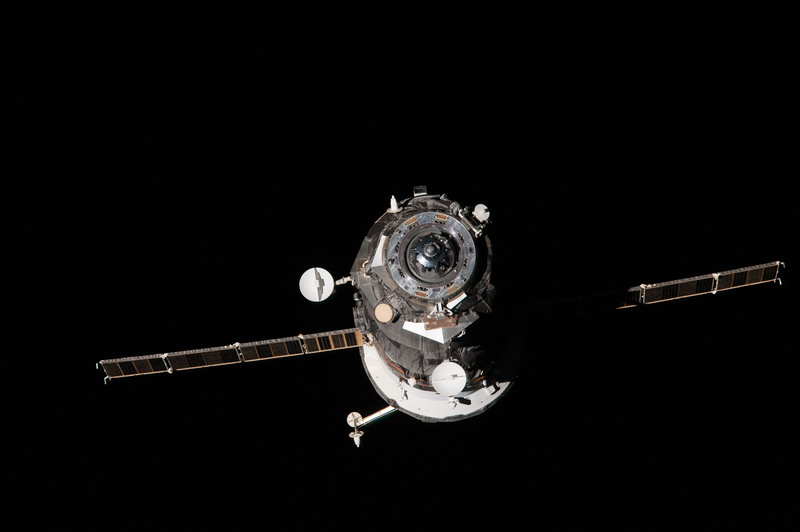 Rising vertically for ten seconds, the Soyuz pitched and rolled onto a north-easterly ascent path, racing uphill with a total thrust of 422 metric-ton-force. The four boosters fired until T+1 minute and 58 seconds when they shut down their RD-107A engines and separated from the core stage that headed on towards orbit under the power of its four-chamber RD-108A engine. Staging occurred at T+4 minutes and 47 seconds as the RD-0110-powered Block I stage assumed control of the flight to finish lifting the spacecraft into a Low Earth Orbit. Soyuz delivered a flawless performance, shutting down its third stage eight minutes and 46 seconds after liftoff with spacecraft separation taking place two seconds later to send Progress MS-02 on its way for a two-day chase of the Space Station to provide engineers with an opportunity of conducting detailed in-flight testing of the new MS systems, flying for the second time on this mission. 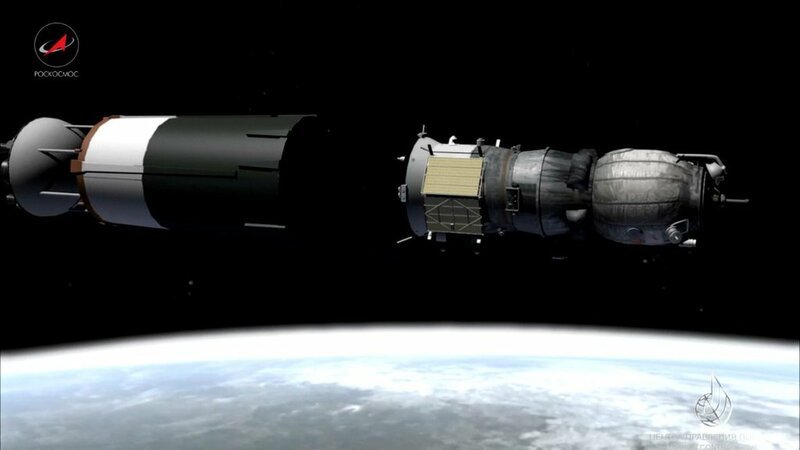 Soyuz 2-1A made an orbital insertion spot-on for perigee and very close on the apogee of the orbit with period and inclination matching the target. This will enable Progress to conduct its two-day rendezvous without any significant changes to the pre-calculated flight profile. Immediately after separating from its booster, the Progress spacecraft successfully deployed its two solar arrays, the KURS navigation antennas sprung into position and the Unified Propulsion System was pressurized for thruster use. The vehicle powered up its KURS system for a brief test and headed out of ground station range. As part of the early mission phase, Progress MS-02 is tasked with acquiring a stable orientation for proper battery charging. A pair of engine burns were planned for the craft’s third orbit around the planet, the first at T+3 hours and 35 minutes for a change in velocity of 19.7 meters per second and the second 37 minutes later with a delta-v of 16.1m/s. These two maneuvers, using the craft’s KTDU-80 propulsion module, will raise the vehicle’s orbit by 71 Kilometers on perigee and 44 Kilometers on apogee. A third orbit-raising maneuver is planned on Friday at around 17:31 UTC to properly position the Progress for the initiation of its rendezvous on Saturday. 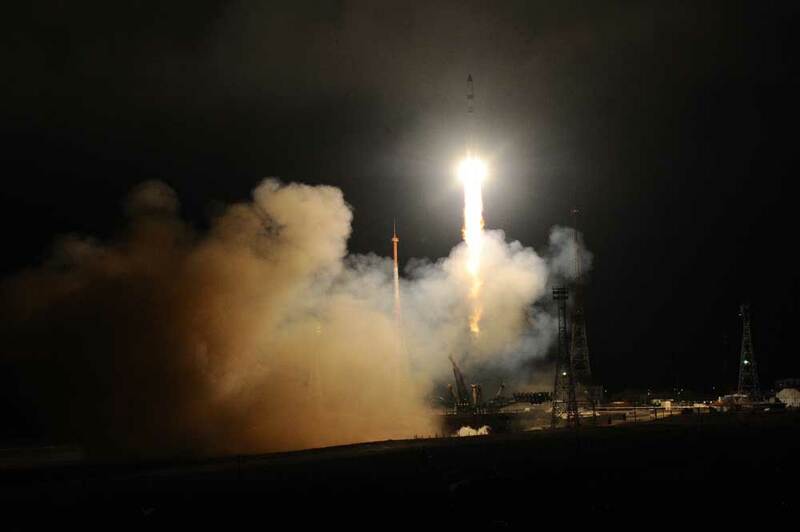 In between rendezvous operations, the Progress will complete a range of tests of the newly introduced systems such as on-board orbit determination using GPS/Glonass navigation data and communications checks through the Luch Geostationary Communications Satellites. Progress MS-02 will begin its fully automated rendezvous at 15:39 UTC on Saturday, making another pair of DV burns to reach the 200-Kilometer communications zone around ISS at which point the KURS system of Progress will be powered up to acquire signals sent by its counterpart on ISS. Relative navigation demonstrations through the exchange of GPS/Glonass signals between ISS and Progress will be run during the rendezvous. Arriving in the vicinity of ISS after a series of engine firings, Progress will complete tests of the KURS system and the crew aboard ISS will check the TORU system to make sure Progress can be remote-controlled in case of issues during the Automated Rendezvous Sequence. To line up with the Zvezda module, Progress will complete a slow lap around ISS ahead of a short period of Stationkeeping to verify good alignment with the aft docking port of the Space Station. 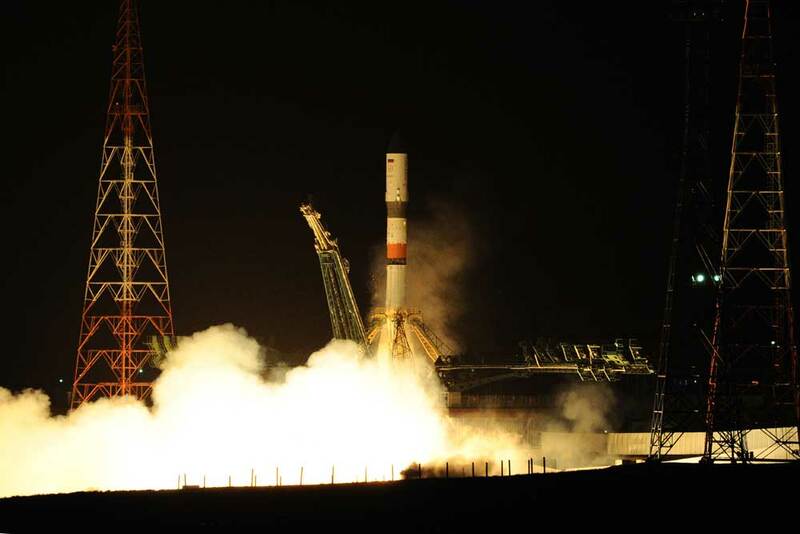 Contact and Capture is expected at 18:01 UTC on Saturday to mark the start of a six-and-a-half-month stay and the delivery of 2,425 Kilograms of cargo.